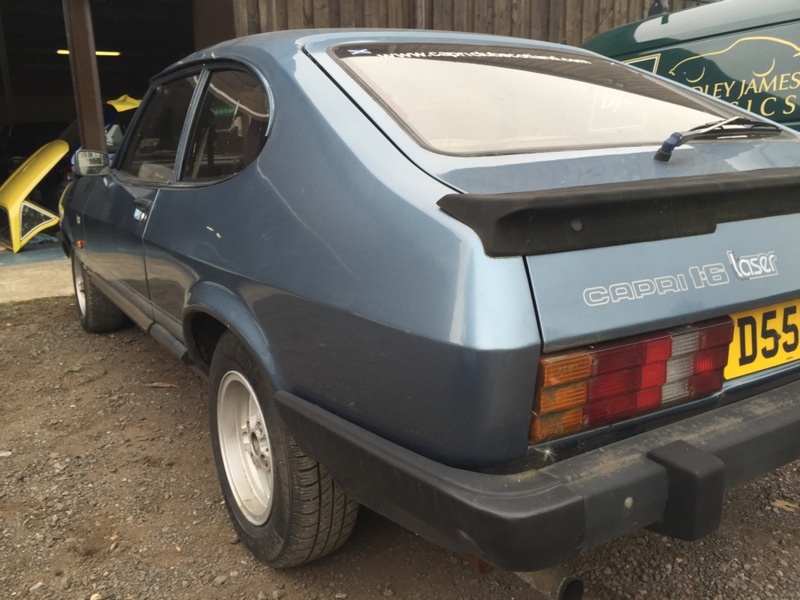 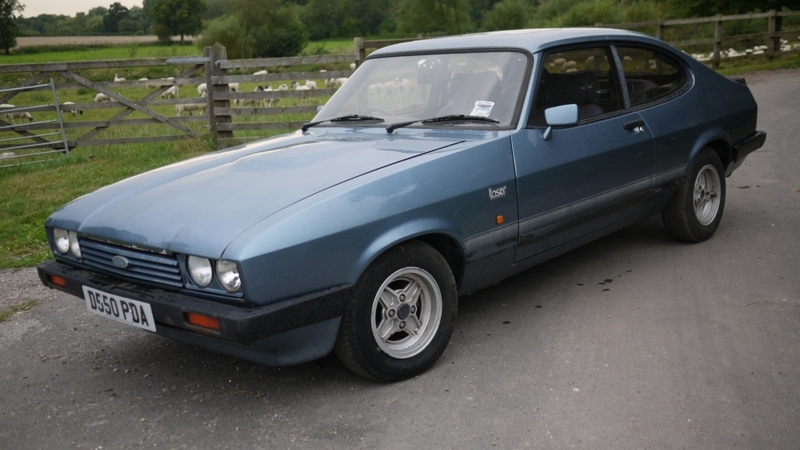 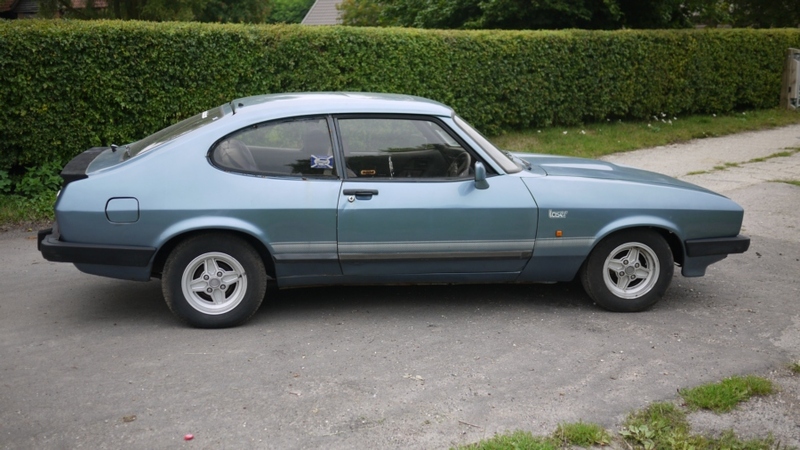 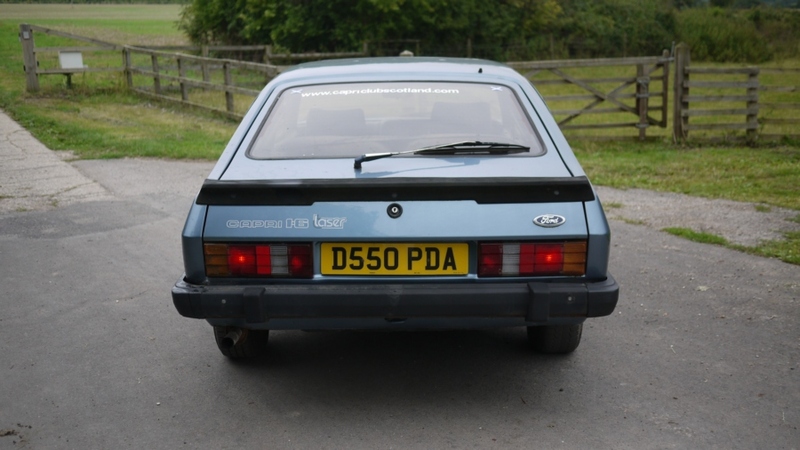 A very late Ford Capri Laser available as a ‘rolling restoration’ – the MOT run out in June 2015. 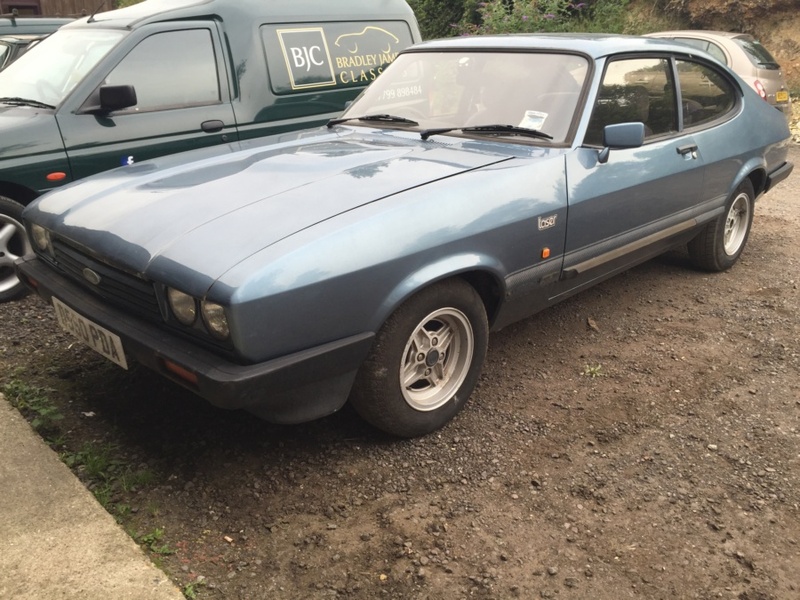 This Ford Capri Laser will require various TLC tasks to bring her up to the mark. 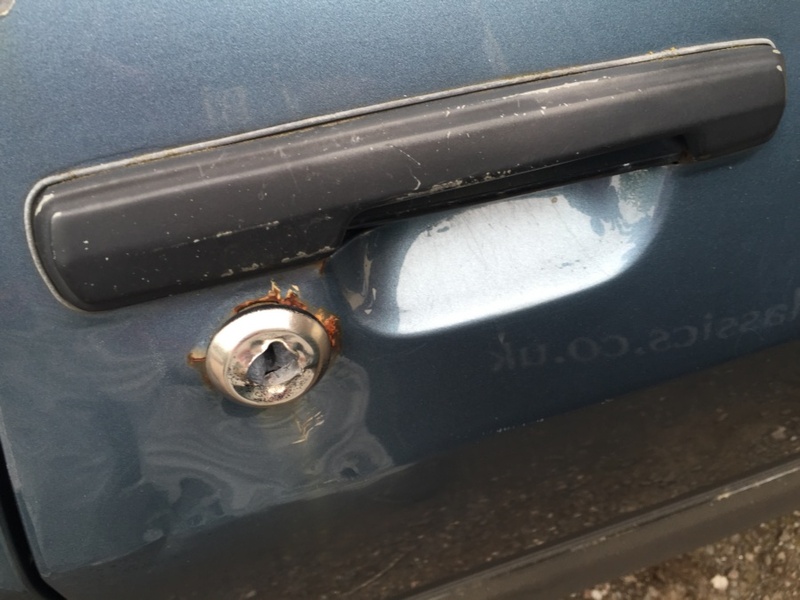 The door locks will require replacement following an attempted break when with the previous owner. 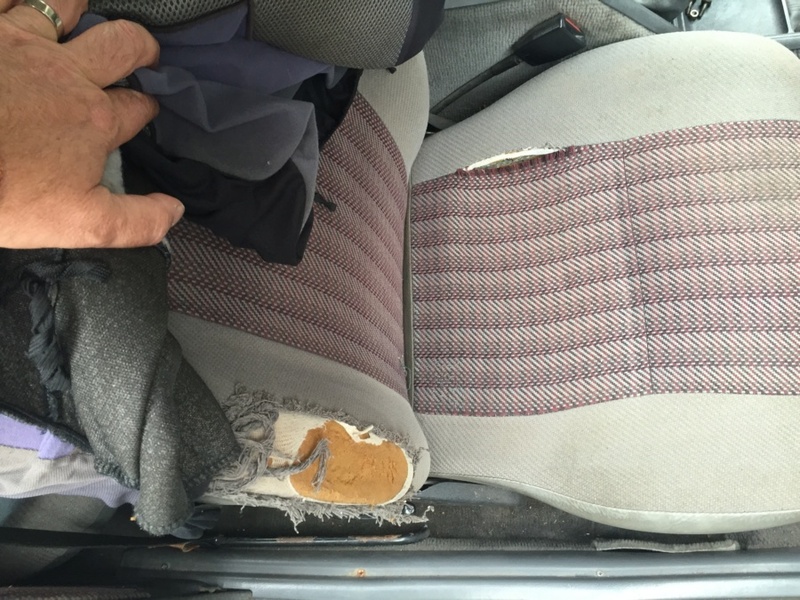 The drivers seat is ripped (albeit there is a full set of seat covers). 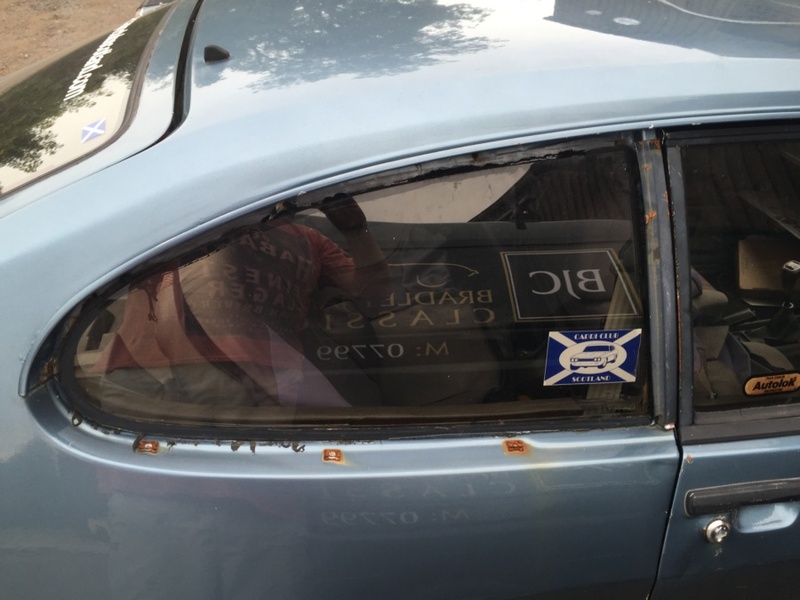 There is rear window trim gone astray. 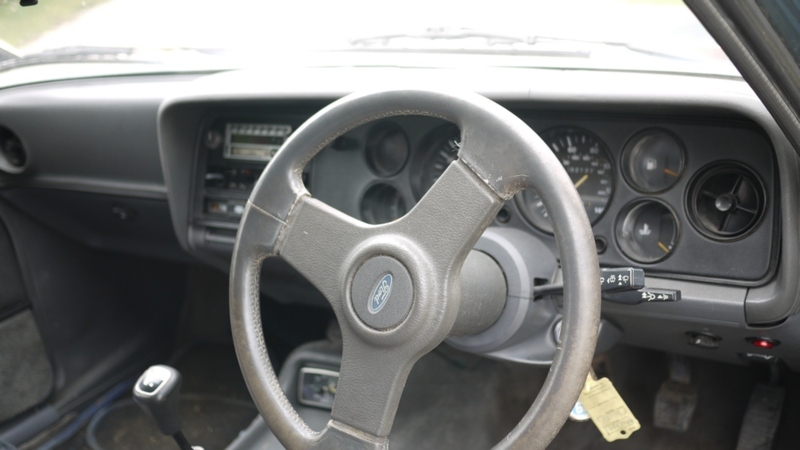 The car starts and drives completely on the button and all appears to be in order mechanically. 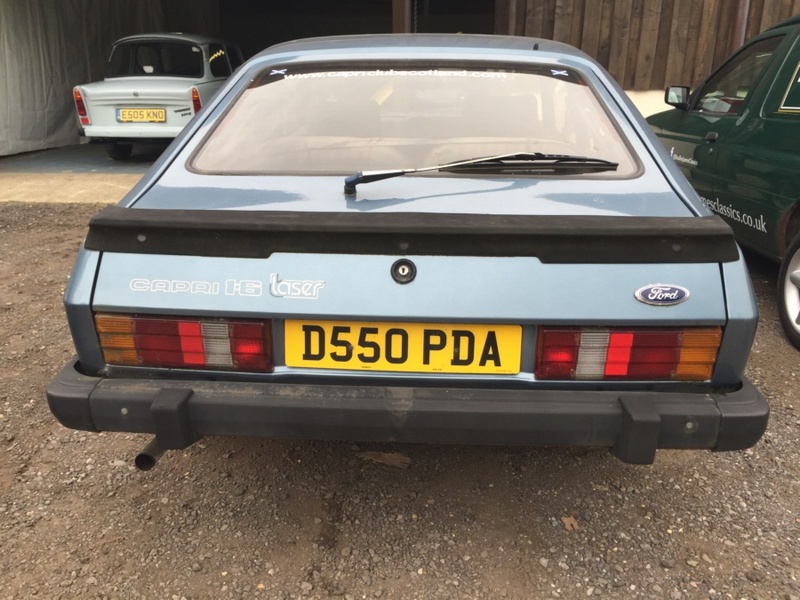 The price of Capri’s have rocketed in recent times, therefore this makes this Laser a good proposition to improve and see a nice return of investment too. 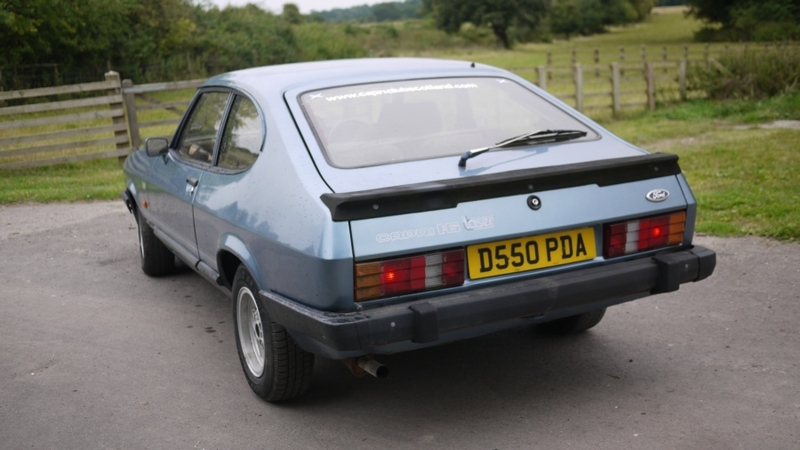 The car is presented in the popular ‘Paris Blue’ with contrasting grey trim. 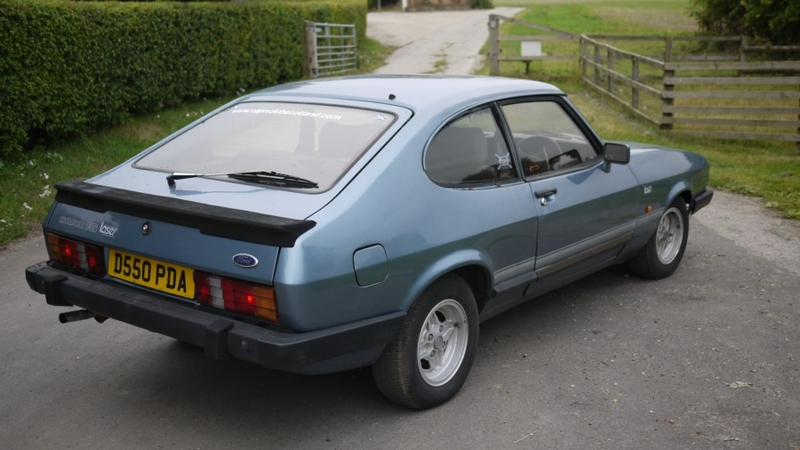 The RS alloys are in fairly decent shape but would benefit from refurbishment to make perfect. 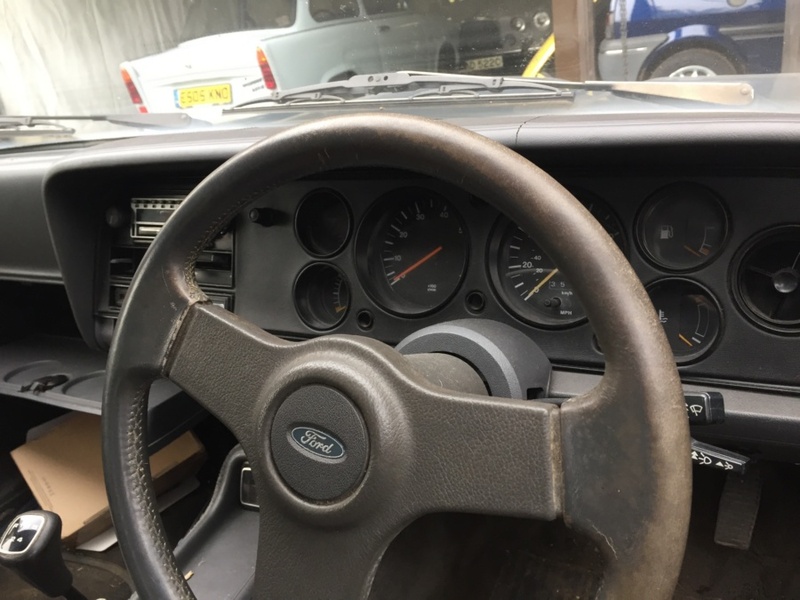 We are based in the North Hampshire countryside in Overton and just 10 minutes away from the major road junction at Basingstoke (M3) and Whitchurch (A34). 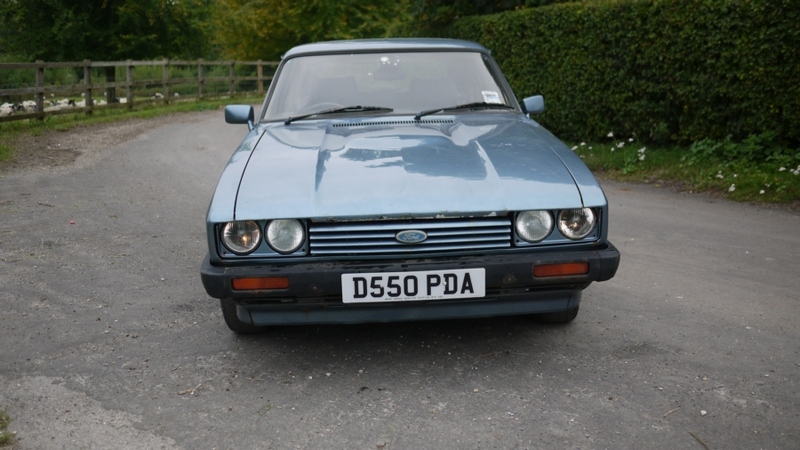 We can offer very competitive nationwide delivery and can even take a part exchange if this helps. 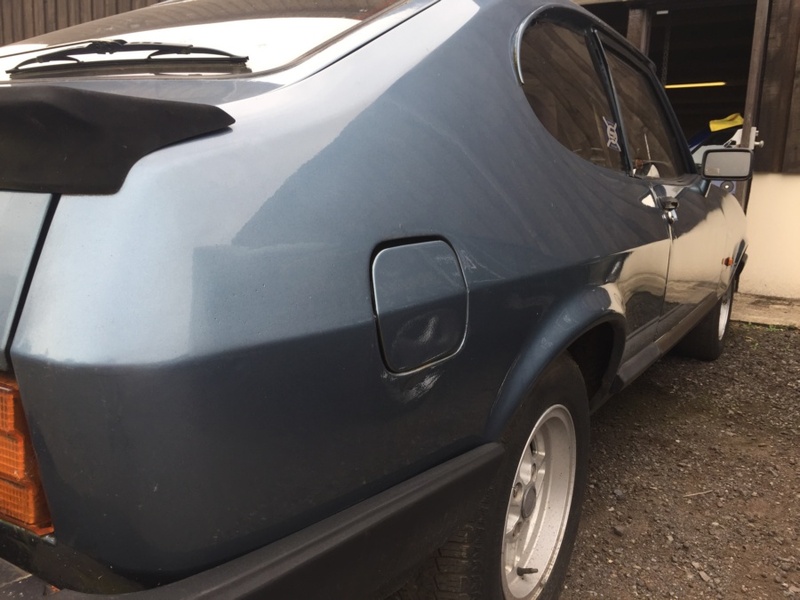 All our car’s go through our workshop and are thoroughly checked over and road tested to make sure they leave us in good road worthy condition. 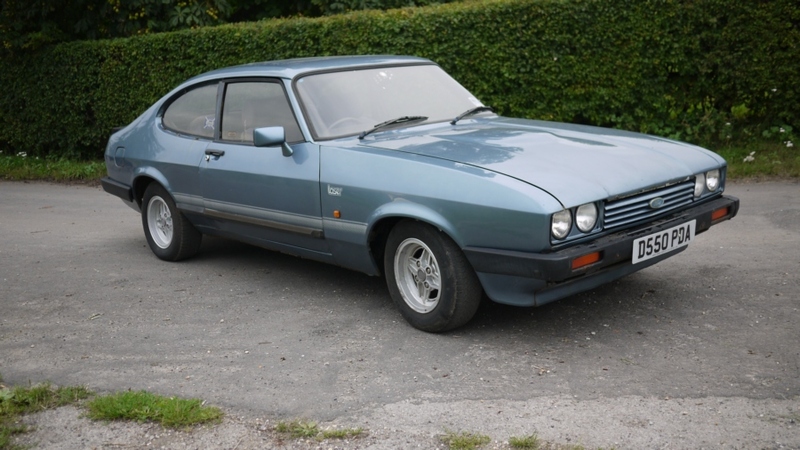 Here at Bradley James Classics we try very hard to set expectations correctly before we make appointments to view our vehicles. 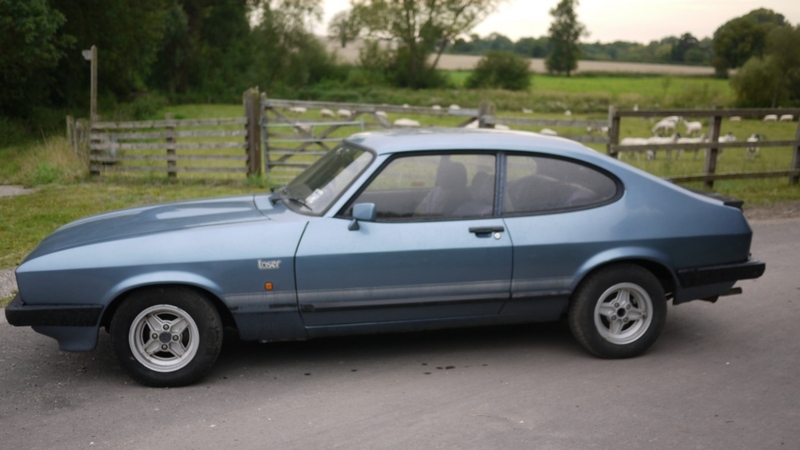 We cringe when we see adverts claiming 25 year old car’s in ‘near mint condition etc’. 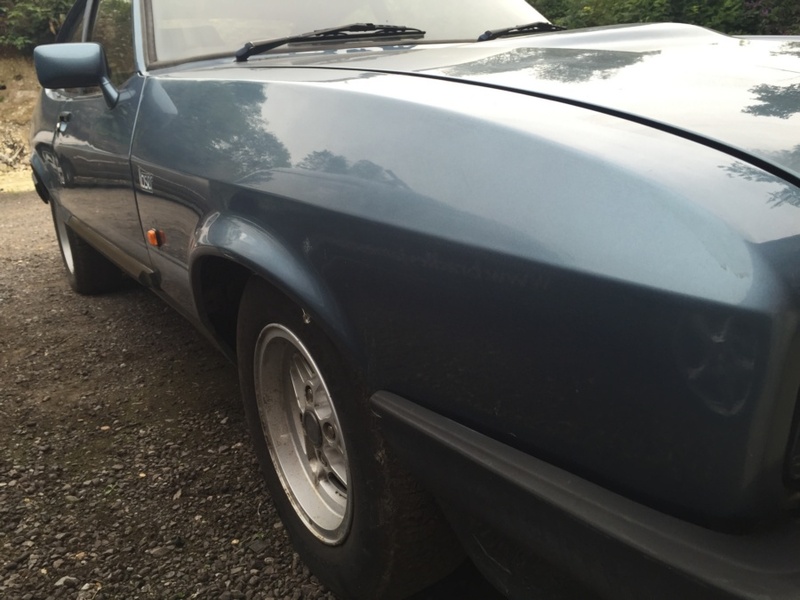 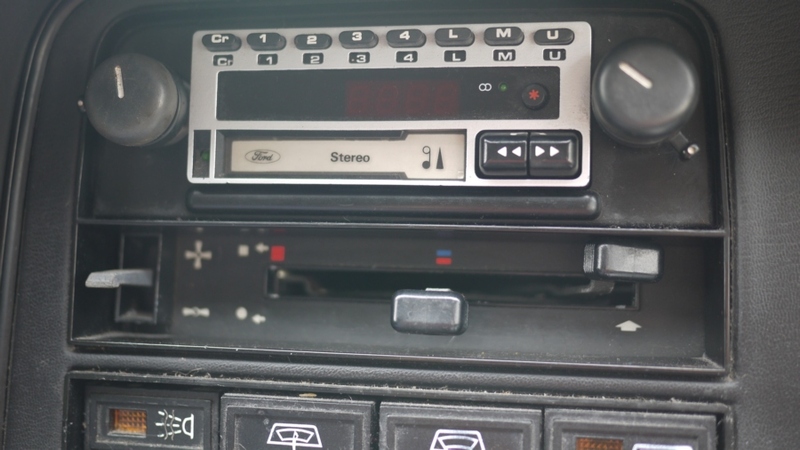 We specialise in supplying everyday working classics at a price point which is fair and appropriate to the condition of the car we are selling. 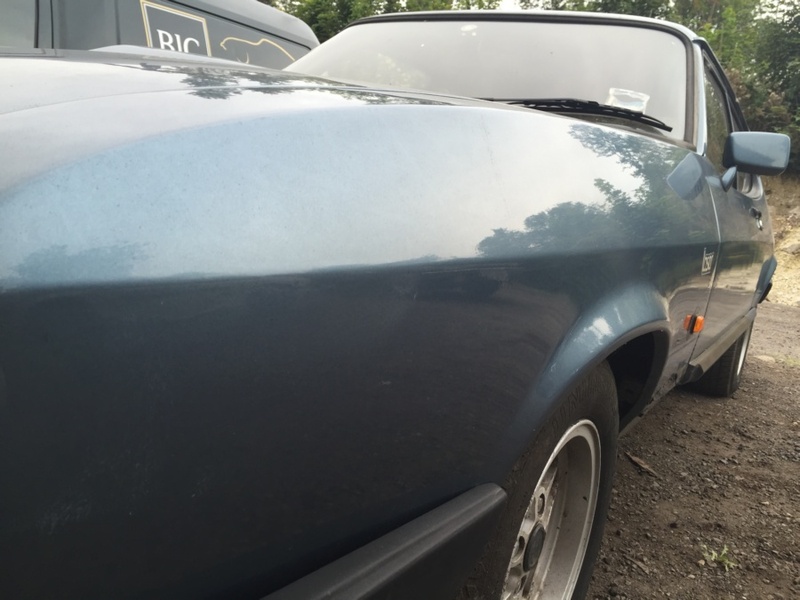 If you would like to know more please use the contact form below or give us a call.